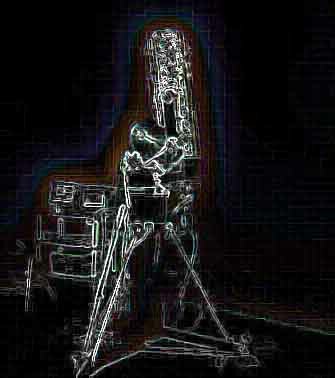 My main imaging instrument is my C14. Perhaps the biggest impediment to my imaging (along with the weather, technique, lack of processing skills) is polar aligning, because of the long focal length of the C14 and the fact that my set-up is temporary. My C14 has a interesting history. Here is an excerpt of a letter that came with it when I purchased it: "Mr. Frank Busch (of Anheiser-Busch fame) originally owned the C14. He had a relative who worked for Celestron. The relative went through and "cherry picked" the optics for the scope." Click here to see my imaging train.